The rod is super sensitive paired with braided line with a fluorocarbon leader. (Talked about here in a different post) This combination is deadly to fish. The sensitivity is like no other fishing pole I have used. I had a live shrimp on the end of my line I was using for bait and I could feel the shrimp running away from a fish that was after it. I knew that because I could feel the shrimp bumping on the line then I got a nice hit from a fish. It happened several times. I have never felt that before on other rods I have used. 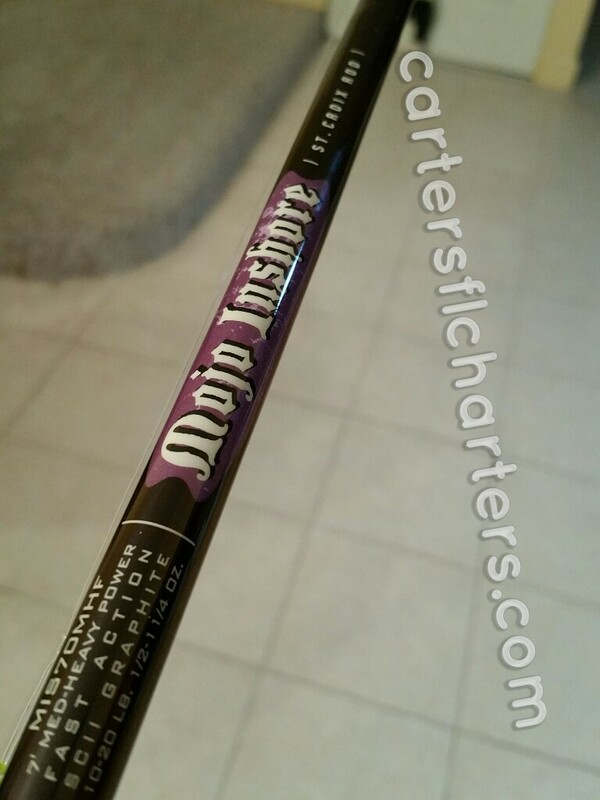 I eventually want to upgrade to a St Croix Avid Inshore Rod. I have heard it is a lot more sensitive than this rod and I can’t imagine how much more sensitive it could be because I am happy with this rod. Then again is it really worth upgrading to a new rod that’s twice the price when I have a rod that already works great. All the St Croix rods are made with great parts. They have a great warranty on the rods and I have not had to use it but I have heard their customer service is unlike any around, in a good way. It is a family owned business. When I bought the rod they sent me a thank you letter and a little information about the company which is cool. Usually you buy something and you don’t hear from the company. If you have some extra money and want a really awesome quality rod that will last several years I highly recommend getting a St Croix Rod. Check out their website and choose a rod that works for your style of fishing. The saltwater rods obviously have more corrosion resistance than freshwater rods so make sure you get the right one. Take care of your rods when your done with them and they will take care of you. Fish lots and stay hydrated out on the water! Catch the big one! Posted on July 4, 2015, in Reviews, Tools of the trade and tagged fishing rods, St Croix. Bookmark the permalink. 2 Comments.